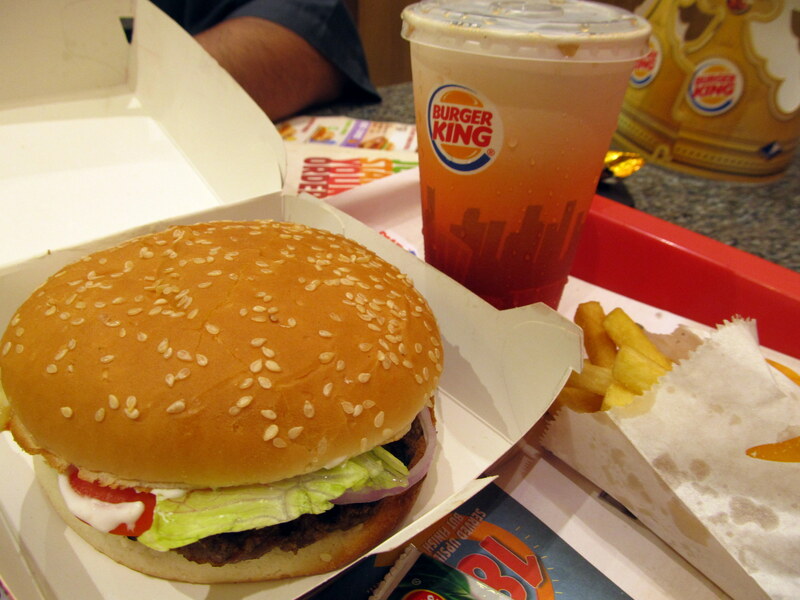 At Churchgate, just outside the train station, in place of Satkar restaurant – Burger King has set shop. I was so happy…finally an option to McDonald’s. 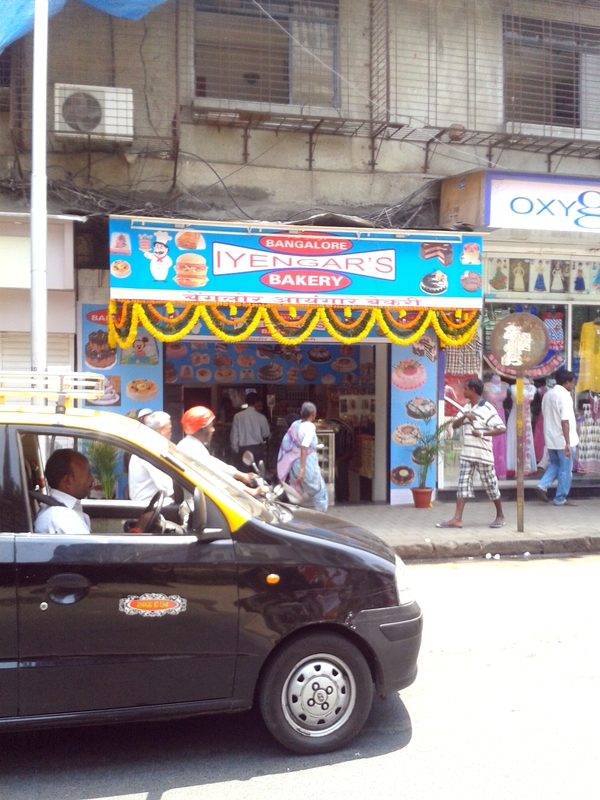 BK opened its Churchgate outlet on 30th of April. I visited the outlet on the 3rd of May. Between 5 of us, we ordered 2 Crispy Veg burgers, a Veg Whopper Regular and a Mutton Whopper Regular. 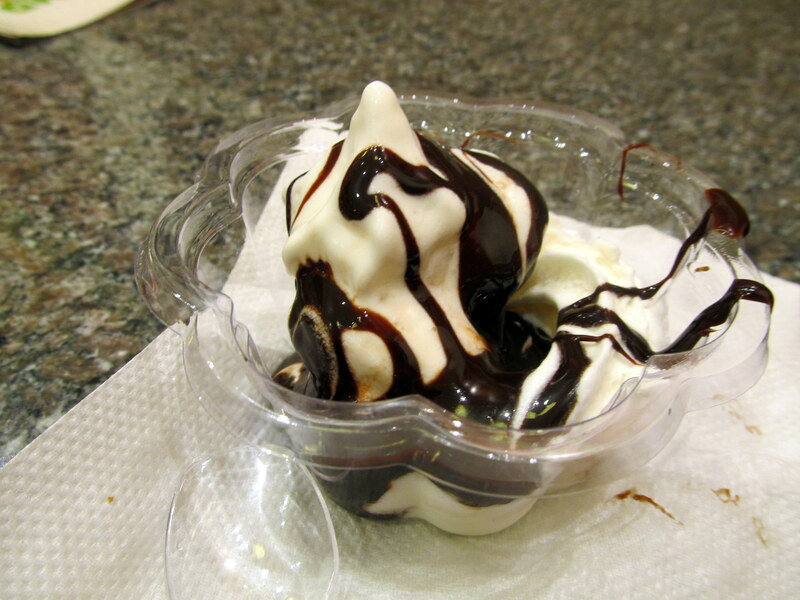 For dessert we tried the BK chocolate sundae. At Rs. 35 the Crispy Veg is good. (All prices are subject to taxes). I kept comparing each dish to McDonald’s and BK came out strong in almost all. The Veg and Mutton Whoppers were a hit with the group. At Rs. 159 and Rs. 169 respectively, they are a whole meal in themselves. 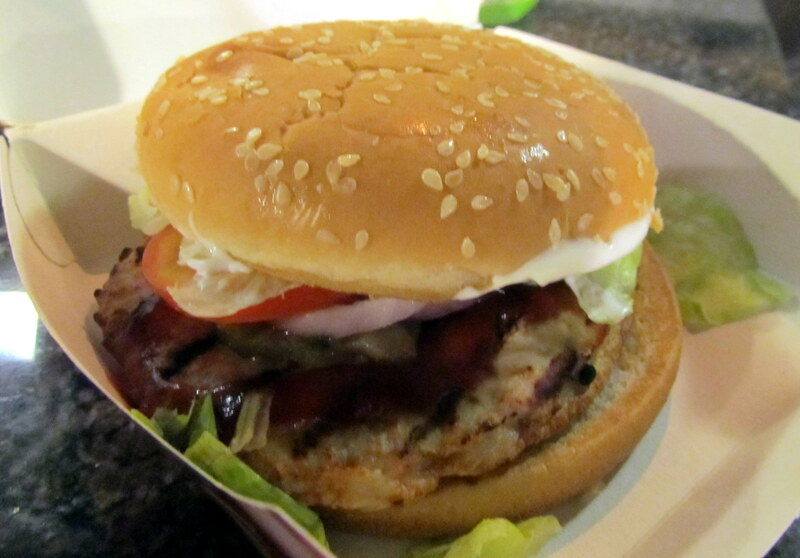 The burgers are large and full of flavour. The burger includes French fries and a cola. 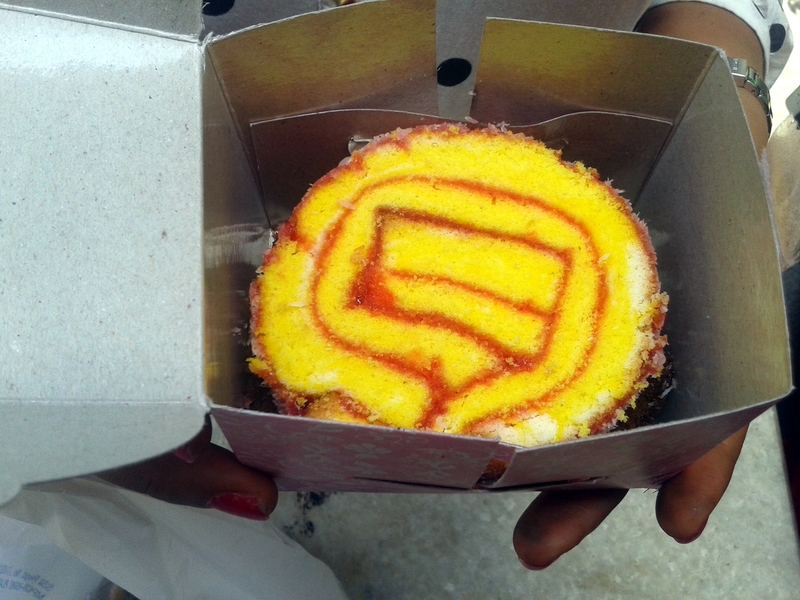 Eat this and your meal is complete. 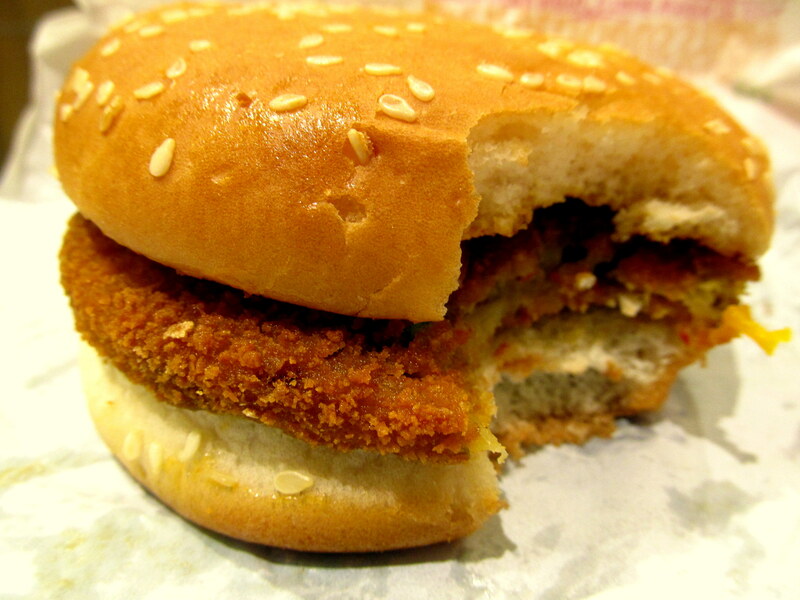 Unlike at McDonald’s were the burger size is so small and lacks flavour. The BK sundae was regular in taste. A relative who just past us on our way in, however recommend against the Razzberry Blues ice bolt beverage. Loved the place so much that I went there again on the 10th of May – as part of the Mothers’ day celebrations I asked to be taken there for dinner. 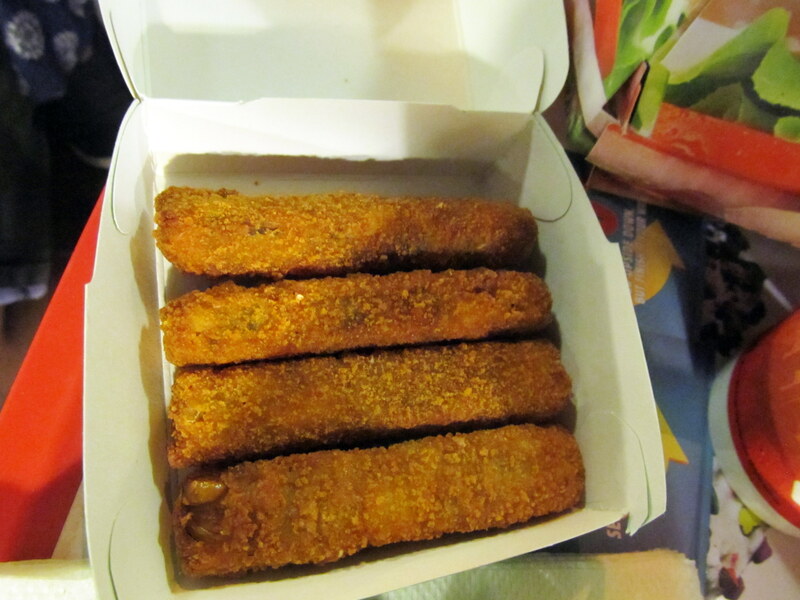 Ordered the Veggie Strips – Rs. 25, Veg Chilli Chezos Rs. 59, a Spicy Bean Royale Burger, a Chicken Whopper Regular and a Chocolate shake. The Veggie Strips were good but the Chilli Chezos were fantastic. The Chezos were very cheesy and very spicy. 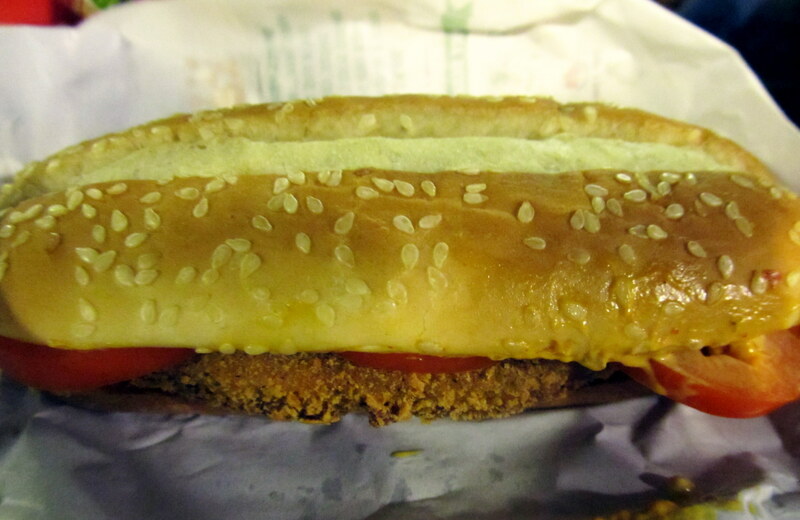 The Spicy Bean Burger came in a hotdog-shaped bun. 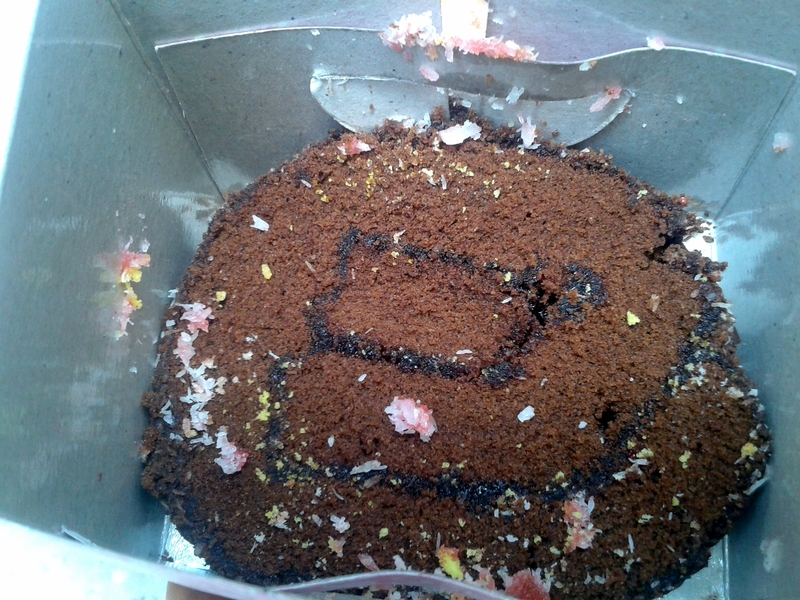 Again the taste was interesting. 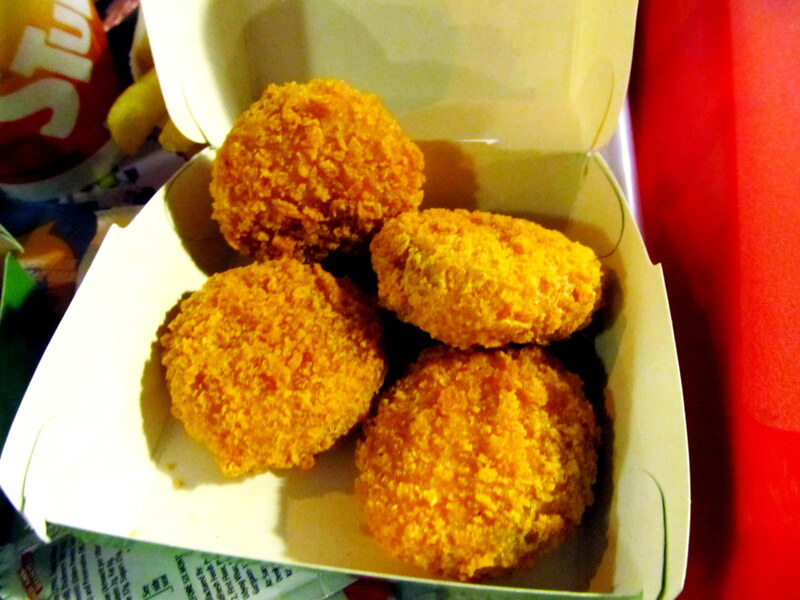 What I seem to like about BK is that their food is well flavoured and there is actually a taste to the food vis-à-vis to McDonalds where the food is bland (probably so that even toddlers can enjoy). 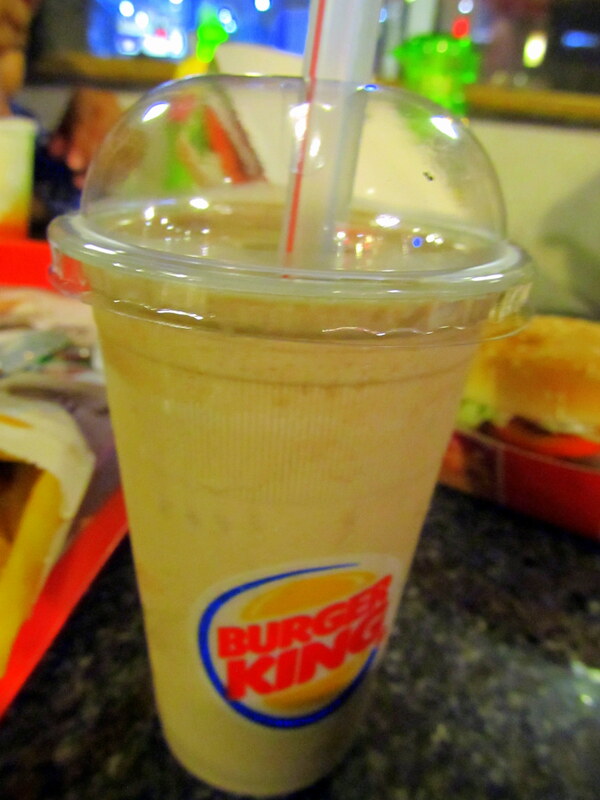 The chicken whopper was ok but the chocolate shake was so gooood. 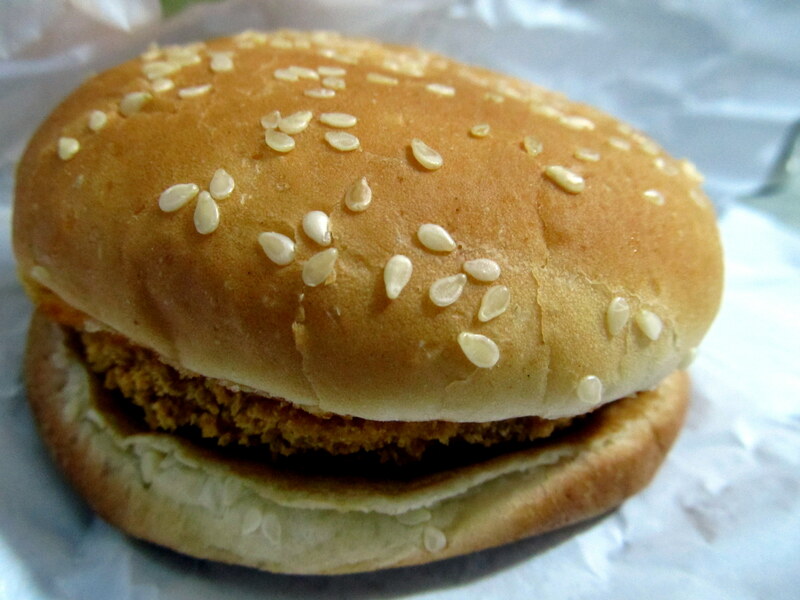 The 3rd time – on the 14th, I got my hubby to parcel home for me a Veg Chilli Cheese burger – OMG – it was yummy. 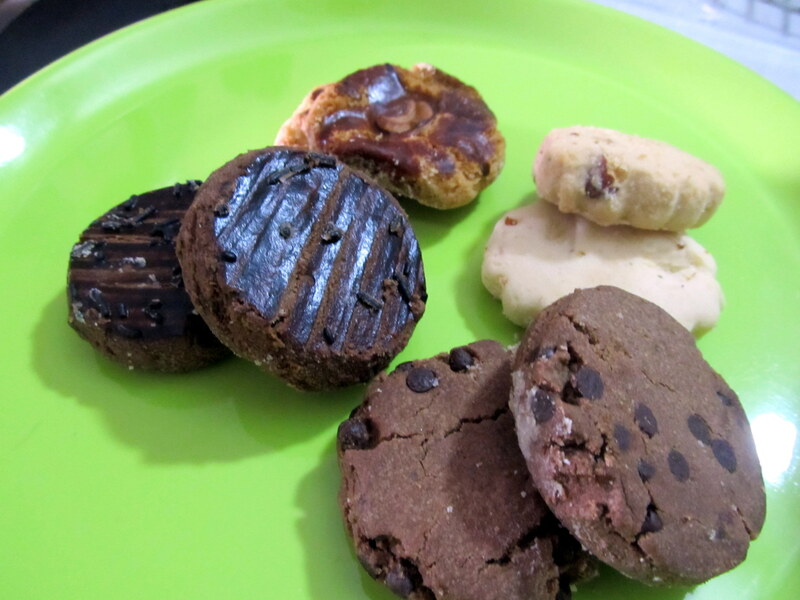 Everytime I bit into one of the burgers I feel so good – finally burgers that have flavours! I keep repeating that. 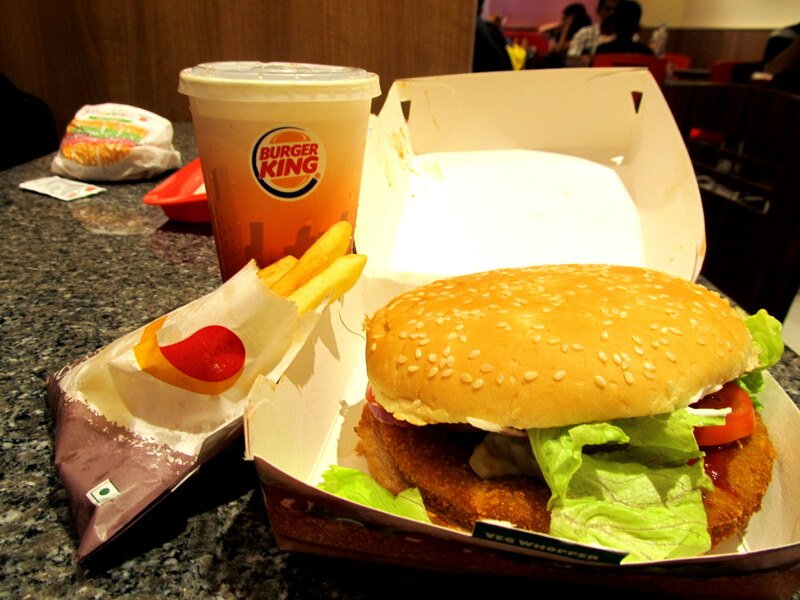 5th time – 24th May – picked up dinner for myself – just a Veg Whopper – enjoyed it thoroughly. Today is the 28th and I’m again waiting to eat again at BK! I guess it just goes to show how parched I’ve been to an option to McDonald’s.